Pardon me, I must damask you a question . . . do you love damask as much as I do? The templates in Fuss Free: I Must Damask You and Fuss Free: I Must Damask You 2 are grounded with damask shapes that have the appearance of being stenciled onto the background paper and covered with various paint mists. 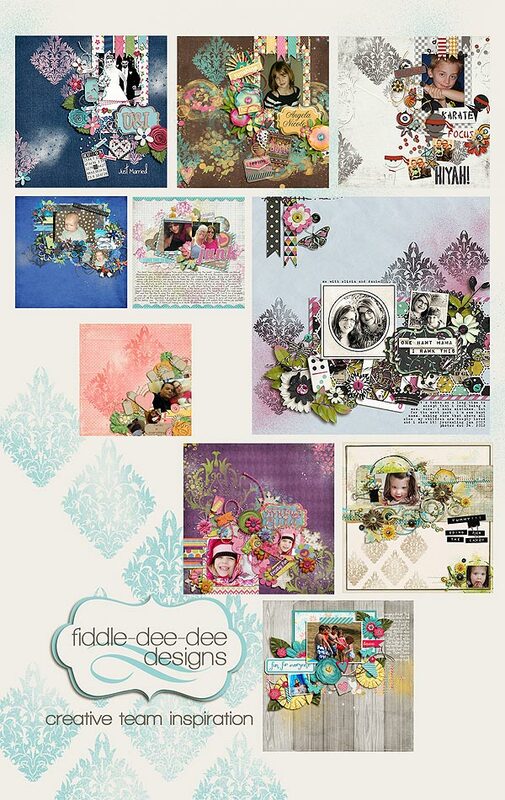 This artistic base is topped with multiple photo spots and fun string and tag element as the usual spray of flowers and leaves that adorn my templates. Purchase Fuss Free: I Must Damask You and receive Fuss Free: I Must Damask You 2 FREE. These sets are Fresh Fruit priced at 20% off ~ that's $3.60 for 8 templates. This offer is valid through January 24, 2013. I'm so happy that you came by to see my new releases. Wishing you much joy and happiness as you create this week!